Three poachers have been shot dead by wildlife troopers after sneaking into a national park in Kenya. The armed poachers, said to be from Uganda, illegally entered Mount Elgon National Park on Wednesday and tried to kill elephants and steal their tusks. A shootout ensued between the men and Kenya Wildlife Service (KWS) rangers, who are in charge of protecting the animals. While three of the poachers were killed, another two were injured but escaped, the Kenya Wildlife Service (KWS) said. 'The officers were on routine patrol inside the park when they encountered five poachers, two of whom were armed,' KWS said in a statement. A fierce shootout ensued and three of the poachers were gunned down while two others escaped. Poaching has declined sharply in Kenya from a peak in 2012 but it remains a problem, with some 69 elephants and nine rhinos killed last year. 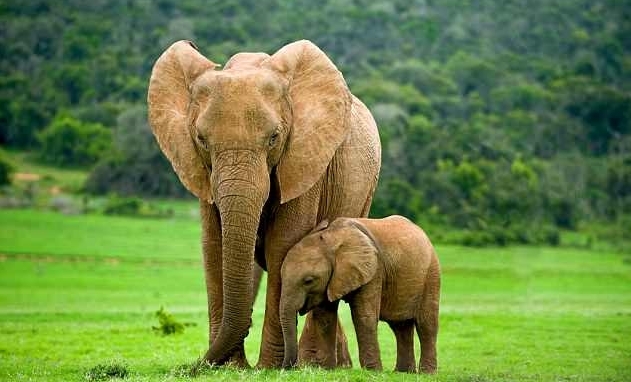 More than 33,000 elephants are poached each year, which equates to one every 20 minutes. Earlier this month, three rhinos were found dead with their horns missing in Meru National Park's Rhino Sanctuary, in what Kenya's tourism ministry said was an act of poaching. Three months earlier, a prominent American investigator of the illegal ivory and rhino horn trade was found dead in his Nairobi home with a stab wound in his neck. A conservation group said Esmond Bradley-Martin, who had spent decades tracking the movement of animal products from Africa to markets in Asia, was about to publish a report exposing how the ivory trade had shifted from China to neighbouring countries. Responses to "Three poachers are shot dead in Kenya after sneaking into a park to kill elephants"
Strap their dead bodies to the fences as a warning to other poachers! All poachers should be shot dead on the spot, kill as many as you can. Hunt down the two who escaped, and execute them on the spot, as they do to the animals. Them are good eating! Can feed an entire village! Schiet ze allemaal overhoop die vuile stropers ,en een bom op China !. Fantastic, kill these poachers on sight! 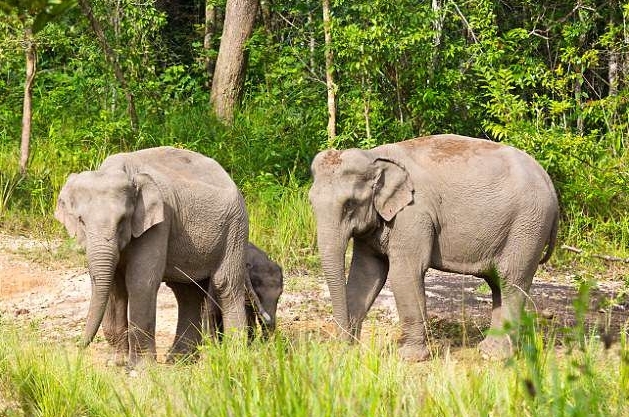 More elephants=less poaching!